Know Bankim Chandra Chatterjee Beyond Vande Mataram! 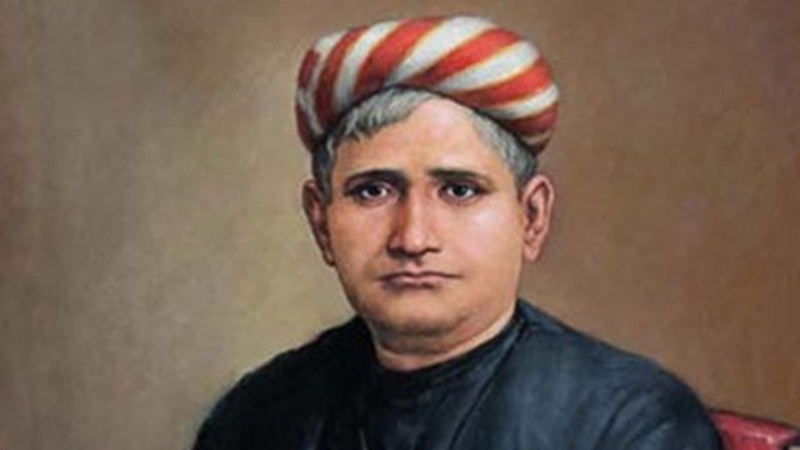 Bankim Chandra Chatterjee is a revered Indian author who is credited not just for penning down our national song- Vande Mataram but also for establishing Prose in the Bengali Literature, which has shaped the Fiction literature of India on the lines of the European model. Born in a traditional Brahmin family, he is one of the first five graduates of the University of Calcutta. Did you know, he was married at the age of 11? Since 1858, he served in the Indian Civil Service and retired as a deputy magistrate. One thing that stands out about the greatness of Bankim as an author is his univocal voice and love for his motherland. His stories depict the gruesome reality of society without mincing words. Though most of his work is fiction, his characters and background are far from it. His debut novel Rajmohan’s Wife- the first Indian novel in English, was not as popular and appreciated as expected. After all, many Indians hardly knew how to read at all, let alone read English! However, that did not deter his spirit. He continued to weave stories from the threads of reality and put them on a display. However, in order for the masses to take pleasure in his stories, he started writing them in Bengali. His gradual shift from a romance writer to an intellectual opinionated one is fascinating; yet not so given his deep understanding of the society and emotions. He writes about an inter-caste love story in his novel Durgeśnandinī, and another love story against the background of the Tantric rites. His works such as Biṣabṛksa in which he writes about the problems of re-marriage (second marriage) of widows, can be considered controversial today. In many of his novels, he has written extensively about the Muslim oppression in India and the struggle of Hindus. Even though Kṛṣṇakānter Uil is considered his greatest literary work, it was Bande Mātaram from his novel Ānandamaṭh (1882) that made him immortal in a true sense. Sung by Rabindranath Tagore later in 1905, the song became the slogan of the Indian freedom movement and the hymn of patriotism for all generations to come. It was the fate of this song, as Bankim himself was a staunch patriot at heart. He is said to have been heavily inspired by the Freedom fighters- Ishwarchandra Vidyasagar, Rani Lakshmibai and Raja Rammohan Roy. It is unfortunate that the de génie could not live to witness his work igniting the fire of freedom and being thump-chested by the entire nation crying for independence. His writing is a mirror to his strong belief in Hinduism, his disapproval of the British Raj on Indian soil (even though he served the govt as a magistrate), and his opinions about social practices and other religions. Some of his beliefs such as support of the inter-caste marriages, having a woman role model, etc. are quite ahead of its time. Some such as opposition to widow re-marriage, anti-Muslim stance, etc. reminds us of the era, he was born in. You and I might not agree with his every point of view, but kudos to his fierce style of writing. He did not give two hoots before writing against the British, even though he was employed with them. How many authors today write as fearlessly as him? Along with writing, Bankim also took great interest in Sketching. Though he never pursued a career in it, his sketch- Scribbling of Kamalakanta (1875) shows off his artistic skills. One who imagines him to be a man living in luxury due to his influential writing and career with the govt, cannot be more mistaken! Albeit being well-respected and influential throughout his life, he lived the life of a commoner. Perhaps, he did not want any power to corrupt his passion for writing. He is both loved and criticized for his work. He has been a significant influence on thousands of writers which includes stalwarts like Rabindranath Tagore, Surendranath Dutt, Sarat Chandra Chattopadhyay, and many more. However, I’ve also read about his style of writing being criticized by a certain section of literary enthusiasts for the lack of character development, preachy undertone, and lack of structure in the plot. There’s a popular belief even today, that in order to understand Bankim’s stories, one has to understand him first. Maybe, many of his criticizers failed to accomplish it. His achievements outweigh every criticism. If not for him, we’d never read novels, as we read today. Bankim, The pioneer of Bengal literature, was not your ideal author that depicted the best of values in society. He continues simply to be a passage for us to walk and experience the pulse of his era through his stories. Previous articleIf You Want to Succeed,You Need To Learn The Art of Building Habits. Next articleSindhuja & Parween are making 20 cr Selling T-shirts!